Old photos of Decima MAS members wearing Panerai watches are always something very special. Not many photos are known and when completely new pictures surface, it’s all the more exciting. Just recently I came across three fantastic “new” photos and I would like to share them with you. The photo below is simply amazing. This image captured a conversation between Junio Valerio Borghese and Luigi Durand de la Penne. 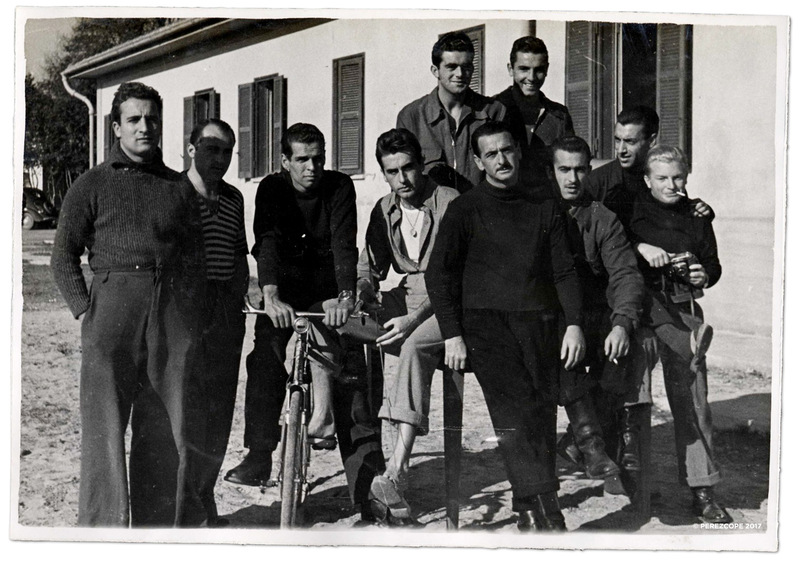 The guy in the center is Luigi Feltrinelli. Now have a closer look at Borghese’s wrist. Please click the picture to zoom in. This photo was probably taken in 1941. The location could be the Naval Base of the Decima MAS in Le Grazie, Porto Venere near La Spezia. C.F. Junio Valerio Borghese (C.F. 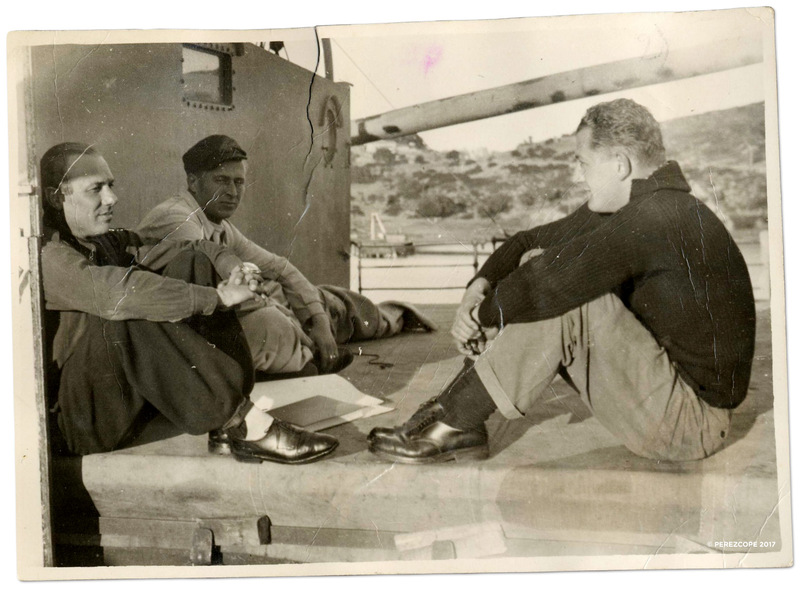 = Capitano di Fregatta, Commander) was commander of the submarine Scire. During the night of December 18, 1941, the Scire released three manned torpedos (SLCs) near the British Naval Base in Alexandria, Egypt. T.V. Luigi Durand de la Penne (T.V. = Tenente di Vascello, Lieutenant Commander) was one of the pilots. After his torpedo broke down, de la Penne dragged the torpedo through the mud and placed the charge underneath the British battleship HMS Valiant. De la Penne succeeded and damaged the Valiant badly. After surfacing, he and his second man Emilio Bianchi were captured by the British. Both ended up as prisoners of war. The next photo shows a group of Decima MAS members at a unknown location. Have a look at the guy on the bicycle, especially his wrist. 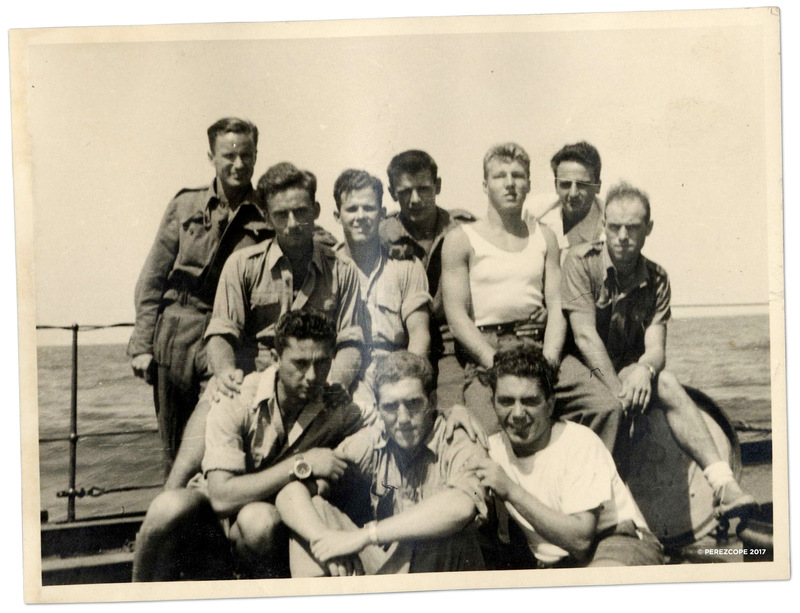 The photo below shows members of a joint British and Italian operation. The guy on the bottom left is wearing a very interesting watch. It’s a “Hydrographic Survey” watch with Longines (or Omega) movement. 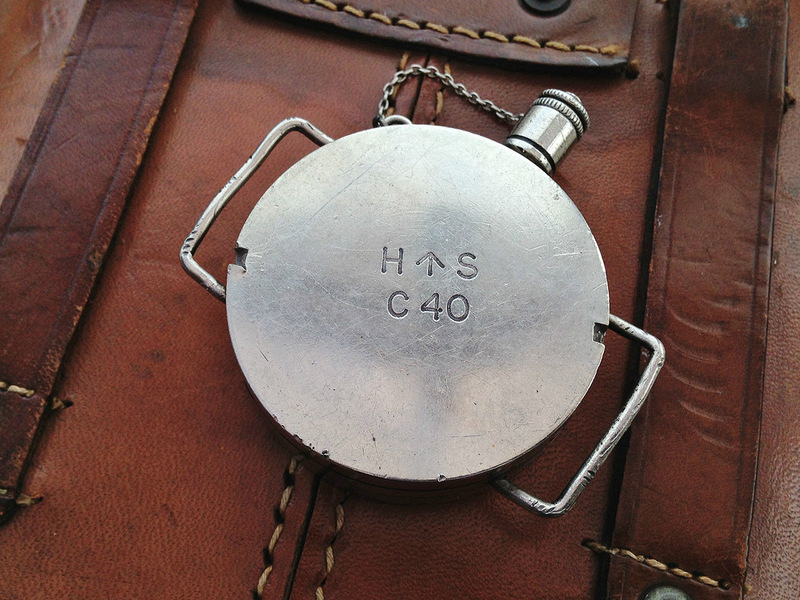 This type of watches were Britain’s answer to Panerai watches. After the Decima MAS attack on the Port of Alexandria, the British developed not only their own SLC, the “Chariot”, but also their own underwater watch. This photo was taken after the Armistice of Cassible in September 1943 and shows British and Italian commando frogmen working together. The guy in the bottom center could be Luigi Durand de la Penne. He was released after the Armistice and returned to duty as an Allied frogman. On June 22, 1944, de la Penne participated in an Allied Chariot attack against two Italian ships, to prevent the Germans from sinking them to block the harbour of La Spezia. The following photos show a “Hydrographic Survey” with Longines 12.68N movement in detail. 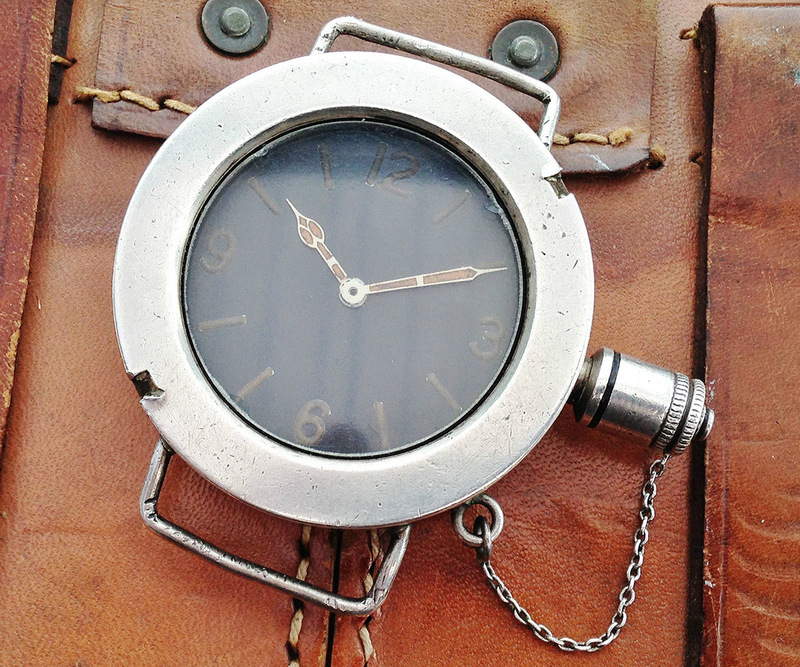 These watches were made from sterling silver by the British case maker A. T. Oliver. The winding crown is contained within a tube and sealed by a screwed cap with thick gasket. The Hydrographic Survey (HS) matriculation number C40. Five such watches are registered in my database. C15, C40, C53, C65 and C73 (Omega caliber). I hope you enjoyed this little time travel as much as I did. 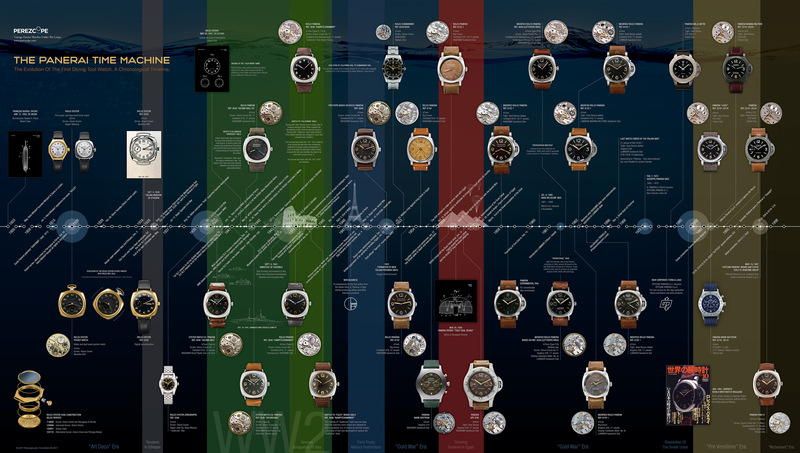 Is there any way to get a print of the Panerai timeline?